…But you haven’t. After yesterday’s announcement, you’ve once again sidelined support for USB Type-C, three and a half years after Apple introduced it on its first-party hardware and three years after Google brought it to the mobile space with its last Nexus devices. When your two biggest competitors are supporting an industry standard that you continue to drag your heels on, it’s hard to see this decision as anything but a mistake. See, Microsoft? You can do this! Before we continue, let’s establish the parameters. Technically at least some Surface-branded hardware supports USB-C. The Surface Go uses a USB-C port for charging, like most Android smartphones and most new low-to-mid-power tablets. And the Surface Book 2, Microsoft’s detachable laptop, features a Type-C port as well. But in both cases the Type-C port omits Thunderbolt capability, meaning it can’t be used to output video at optimum quality like most new laptops can. 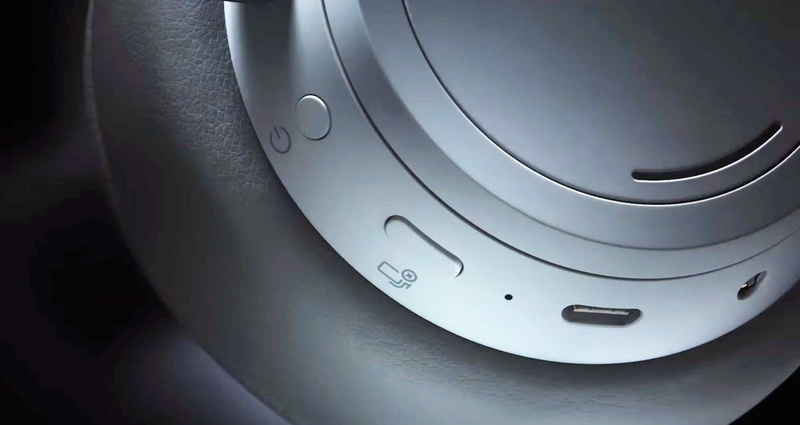 And for both machines, the USB-C charging capability is hamstrung, deferring the fastest charging to the proprietary Surface connector Microsoft has been using since the original model way back in 2012. 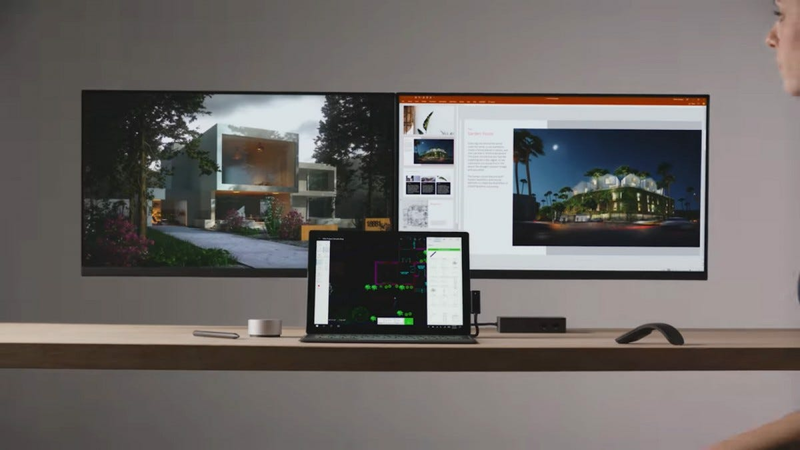 The Surface Studio, the line’s most expensive option and an otherwise interesting all-in-one desktop, doesn’t feature a single USB-C port, even on its new revised hardware. 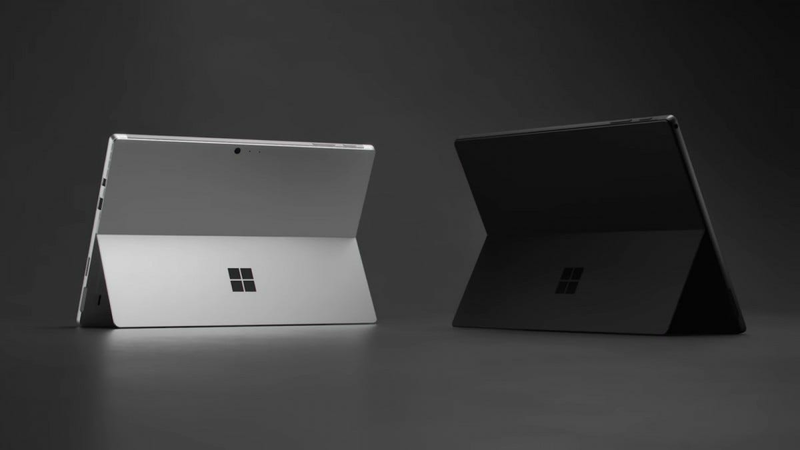 And now Microsoft has announced the Surface Pro 6, the latest revision of the company’s workhorse hardware. Hardware that has the same single USB A and Mini-DisplayPort layout it’s been using for five years, while every single hardware alternative has long since offered USB-C for high-speed charging and for video. 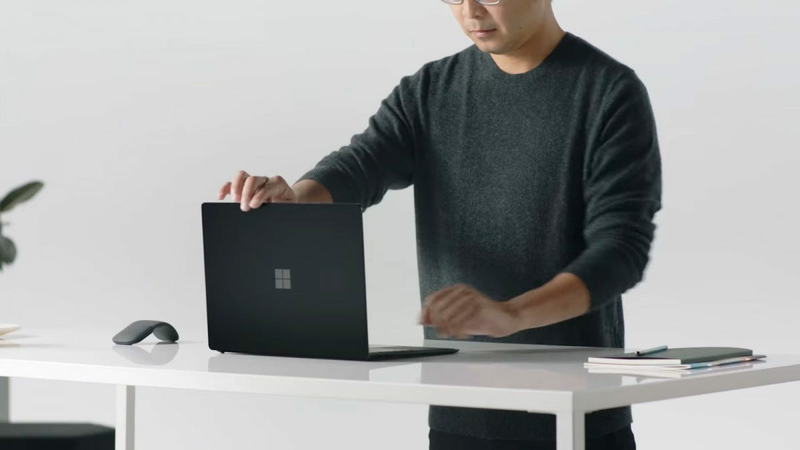 Ditto for the revised Surface Laptop 2: no USB-C ports to be seen. What freakin’ gives? Not pictured: an interface port from this decade. As if to make my point for me, Microsoft also announced a new product along with refreshes of the Surface Pro, Laptop, and Studio. The Surface Headphones are expensive noise-cancelling cans with Cortana integration and some cool creature comforts, like automatically pausing your music when you take them off. And what do you use to charge them up? Why, the industry standard for charging mobile electronics and laptops, of course: USB-C! For the last year of Microsoft hardware, that’s USB-C slow charging but no Thunderbolt video on the Surface Book 2 and the Surface Go, no USB-C at all on the Surface Pro 6, Laptop 2, and Studio 2, and USB-C charging on the Surface Headphones. Because who needs consistency? As someone who’s been covering tablets since the original iPad, I’m at a complete loss as to why Microsoft is digging its heels in on this point. After adding USB-C to the Surface Go and Surface Book 2, apparently with a begrudging admission that they need to at least pretend to support the rapidly-adopted standard, they’ve just left it off even newer hardware. It makes no sense. 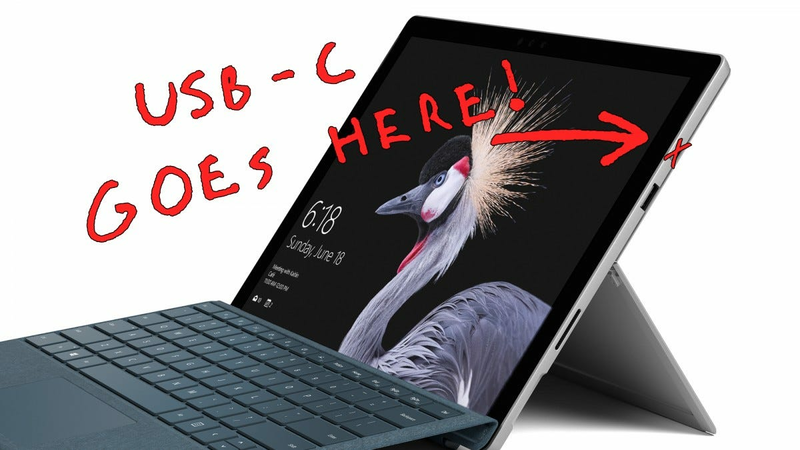 The hardware suppliers who make the Surface devices for Microsoft can support USB-C. Windows can support USB-C just fine. This isn’t a cost issue—adding a USB-C port isn’t any more expensive than using the Mini DisplayPort, even if you insist on keeping the older USB-A port around for ease of use. 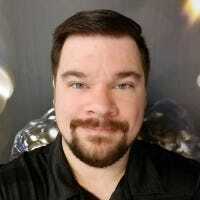 Even the idea that Microsoft doesn’t want to significantly revamp the Surface Pro hardware doesn’t make sense; you could say that they built the Surface Go from the ground up with a USB-C port in mind, but the Surface Book 2 wasn’t a huge physical change from the original design in 2015, and it received a USB-C port even if it was hobbled by a lack of video support. Raise your hand if you want to plug this brick into your sleek, modern tablet. Anyone? With previous generations of the Surface Pro hardware, you could make the argument that Microsoft wanted to push its magnetic Surface Connect adapter to create demand for its lucrative accessories, like the admittedly cool Surface Pro Docking Station. But in recent revisions, these impressive-looking docks have given way to more somber black boxes full of ports, sans spiffy stands and slide-in connections. So now the only advantage of insisting upon connection via that proprietary magnetic port… is that it can be detached easily. Even by accident. Which isn’t exactly a great selling point if you’re trying to dock your laptop or tablet into two monitors, a mouse and keyboard, an Ethernet port, and an external hard drive. The only option for a Surface Pro user who’s already invested in USB-C charging hardware is this ridiculously expensive adapter. So why? Why sell $1000+ machines that are crippled by a lack of connection options? Why try to compete with the latest designs while giving yourself a handicap? I don’t have the answer to those questions. But I know the appropriate response. Google’s latest Pixel-branded laptops and tablets are rumored to run Windows in dual boot, and they’ve got USB-C ports for days. Hey Pixelbook, how you doin’? 4K TVs are finally getting cheap enough that you can afford them without borrowing money or missing a rent payment. These are the best 4K screens you can get for an affordable price.